UK based photographer Sophy Rickett (b. London 1970) works with photography, video installation, sound and text and describes her work as an exploration of ‘the tension between the narrative tendencies and abstract possibilities of the photographic image’. 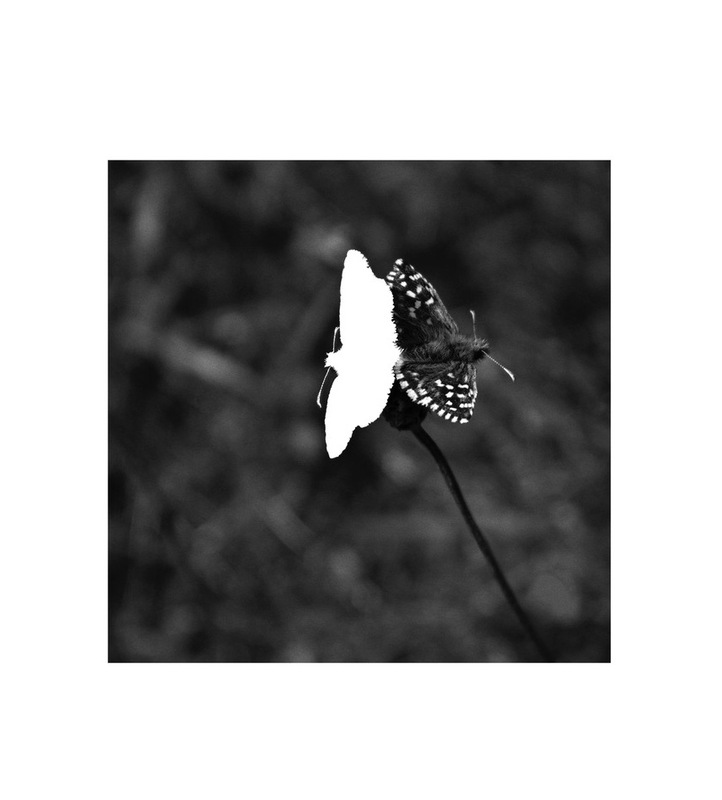 Her print, ‘Grizzled Skippers: The Death of a Beautiful Subject’ was created for Field Editions in 2018 and is an addition to a series of 24 photographs in her book ‘The Death of a Beautiful Subject,’ published by Gost in 2015. The work features an ‘accidental archive’ of photographs of butterflies taken by her retired father, extracts drawn from an email dialogue between them, and a narrative text written by the artist. Sophy Rickett selected exhibitions include Album 31 and other works, Fotogalleriet, Norway and UK (2015); Objects in the Field, Kettle’s Yard, Cambridge (2013); To the River, Arnolfini, UK (2011);Auditorium; De La Warr Pavilion, Bexhill, UK (2007). Selected group shows include: Zeitspuren: The Power of Now at Pasquart Art Centre, Switzerland and Euvreexposée/Permanent Collection, Musée d’Arts de Nantes – Cube – Niveau -1, Nantes, France (2018). The Encyclopaedia of Masamichi Katayama, Opera City Art Gallery, Tokyo, Japan; Into the Woods: Trees in Photography, V&A Museum, London (2017). Look, Tate Liverpool (2015); They Used To Call It The Moon, Baltic Gateshead, Newcastle(2014).Just Photography, Martos Gallery, New York (2011). Les Peintres de la Vie Moderne, Centre Pompidou, Paris, France, Mirror, Mirror, Jerwood Space, London (2007); Identity III, Nichido Contemporary Art, Tokyo, Japan (2006). Where Are We?, V&A Museum, London, UK; A Night on Earth, Kunsthalle Münster, Münster, Germany. Common People: British Art from Phenomenon to Reality, Fondazione Sandretto Re Rebaudengo per l’Arte, Guarene, Italy (2001). Near and Elsewhere, The Photographers Gallery, London, (1999). Remix, Musée des Beaux-Arts, Nantes, France; New Contemporaries 98, Tea Factory, Liverpool, UK; Camden Arts Centre, London; Critical Distance, Andrew Mummery Gallery, London, UK; Host: Tramway, Glasgow, UK (1998). Sophy has works in several major collections, including Federal Reserve, Washington, USA; Fondazione Sandretto Re Rebaundengo, Guarene, Italy; FRAC, Alsace, France; Government Art Collection, UK; MART, Trento, Italy; Musée des Beaux-Arts de Nantes, Nantes, France; Museum of Visual Arts, Leipzig, Germany; Pompidou, Paris, France and V&A Museum, London, UK. Sophy is a Senior Lecturer in Photography at the London College of Communication/ UAL. She lives and works in London and is represented in Tokyo, Japan by Nichido Contemporary Art and in Turin, Italy by Alberto Peola.